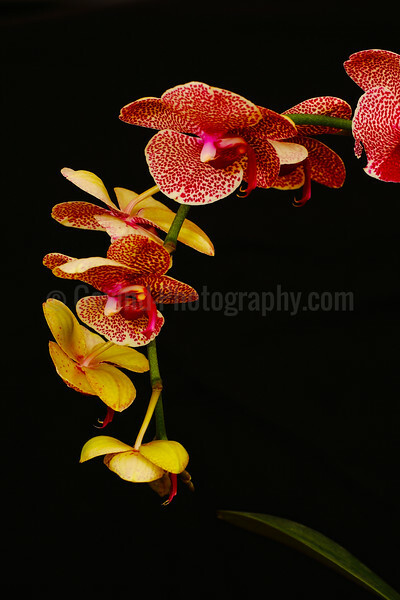 A moth orchid plant photographed in natural light. Orchids are predominantly tropical plants with very intricate structures. They have symbiotic relationships with various other species, mainly insects on whom they depend for pollination, and even a type of fungi which helps them process nutrients. In this image, I have tried to capture the structure of the plant. 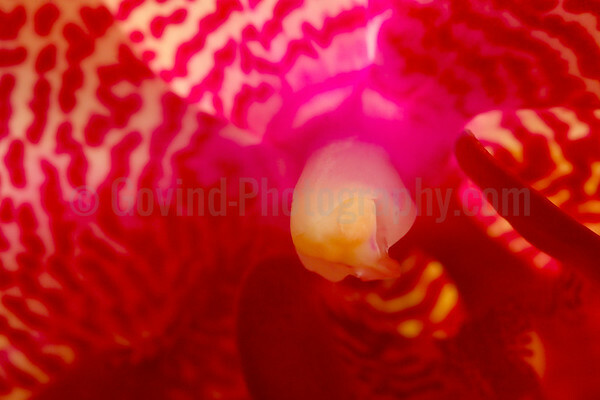 The center of the moth orchid flower. Orchid flowers contain both male and female parts, but depend on insects such as bees and wasps for pollination. Orchids attract these insects through a combination of shapes, fragrance and nectar. I wanted to highlight complex shapes and patterns within the bloom. 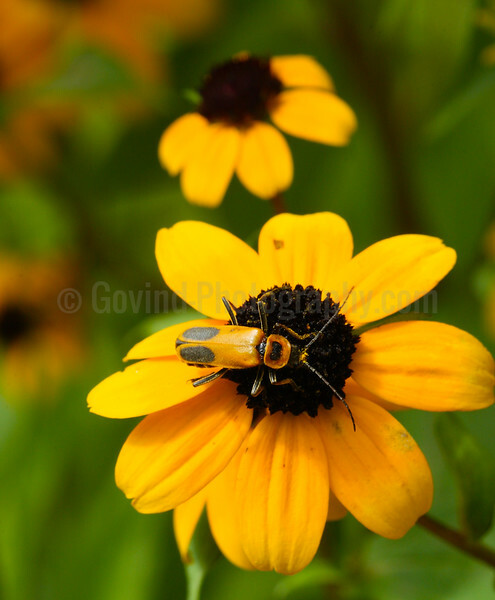 I came across several of these beetles in Milwaukee's Riverside Park one summer morning and they seemed to prefer coneflowers for resting. It was only when I took this image, I noticed how well they blended with the flower, so this is likely a camouflage mechanism. 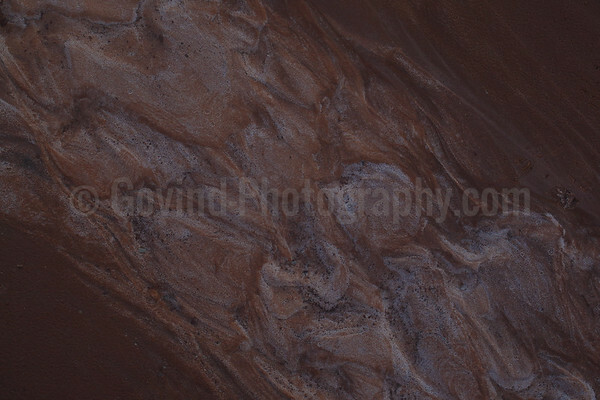 Interesting patterns in a riverbed in Southwest Utah created by rainfall the previous day. 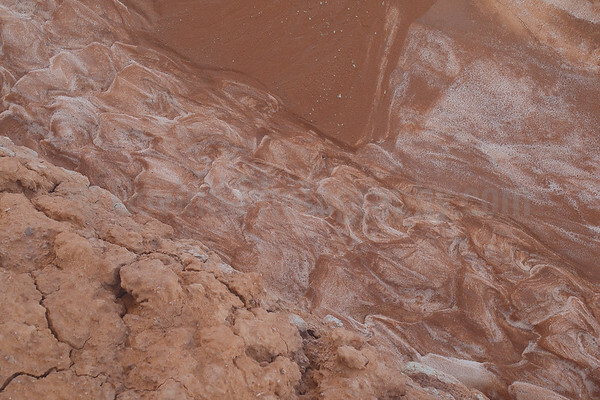 The landscape is made of red sandstone and white salt, which are seen in the image. A Canada anemone from Milwaukee Riverside Park. It is always amazing to observe the variety of flowers and plants in any environment, particularly one as rich as the Upper Midwest. A chicory flower I came across in Milwaukee's Riverside Park. 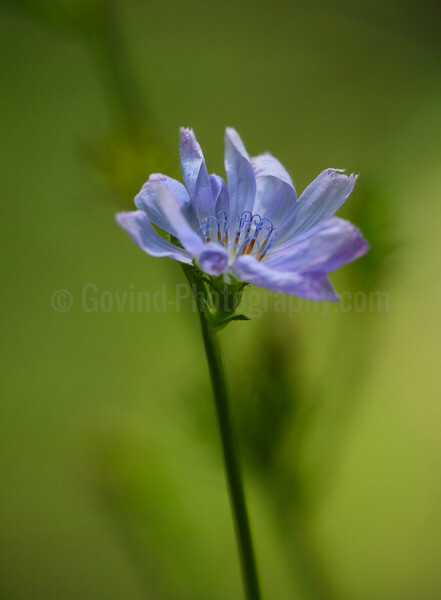 Chicory was introduced in the US by early Europeans and grows in disturbed soil. The chicory root is edible and was used as a substitute for coffee during World War II. I like the delicate structure in the filtered afternoon light. 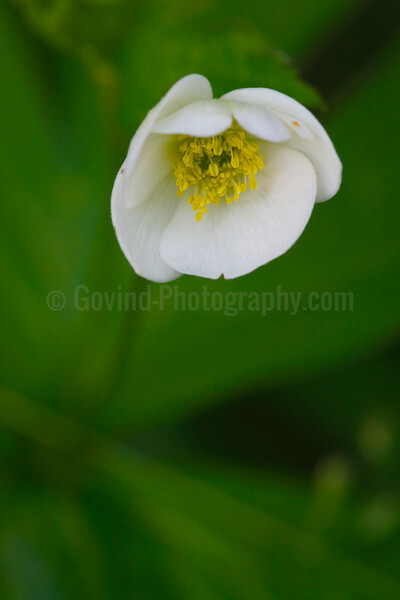 I have tried to capture the intricate structure of this delicate flower, which I noticed in Milwaukee's Riverside Park. The early summer growth provides a complementary background. 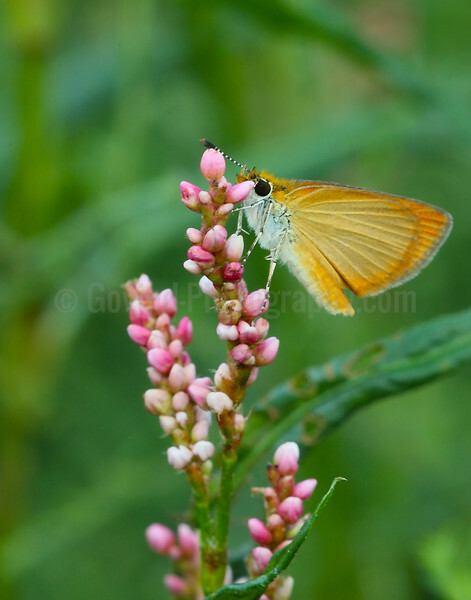 A least skipper gets ready for the evening on a milkweed plant at Milwaukee's Riverside Park. Butterflies have a symbiotic relationship with plant species - the caterpillar of each species feeds only on certain species of plants. Presence of these plants is critical to the survival of the insect species. 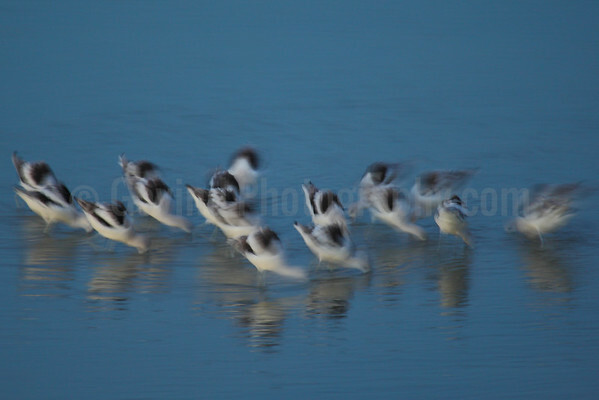 I came across this group of avocets feeding in a Bay Area harbor late one evening. It was interesting to observe the flock feeding in a circle. One avocet would dredge the bottom bringing up invertebrates and crustaceans, and the next member would move in to feed in that spot. The steady movement of the birds and low light gave a opportunity for an abstract. As the evening draws to a close, a flock of juvenile whooping cranes dance in a recently harvested corn field in Wisconsin. These magnificent birds have been raised by the Crane Foundation and radio tagged for tracking.. 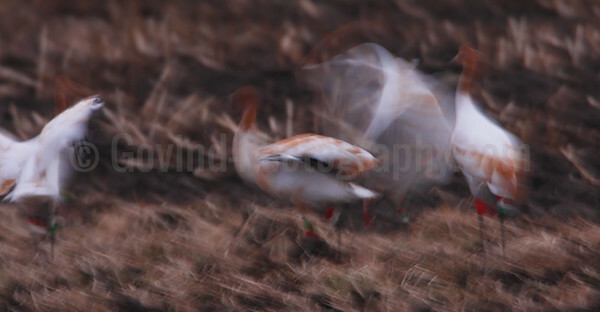 I was trying an abstract and liked the ghostly image which seems to convey the danger these cranes are in. 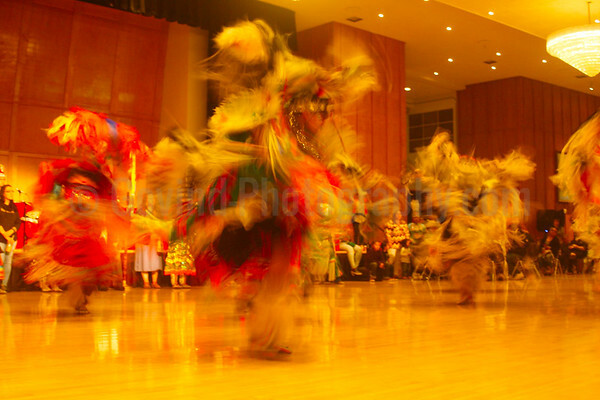 Native American cultures have several mesmerizing forms of dances accompanied by equally captivating rhythm. I have tried to capture the movements created by the dancers in their majestic attires. 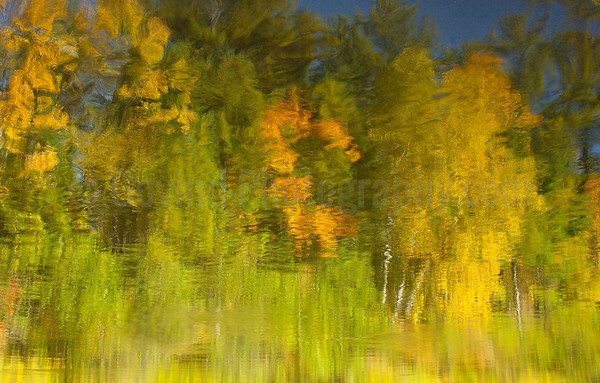 Fall foliage reflects in the Bad River at Copper Falls SP. The resultant abstract is an impressionist painting-like image. 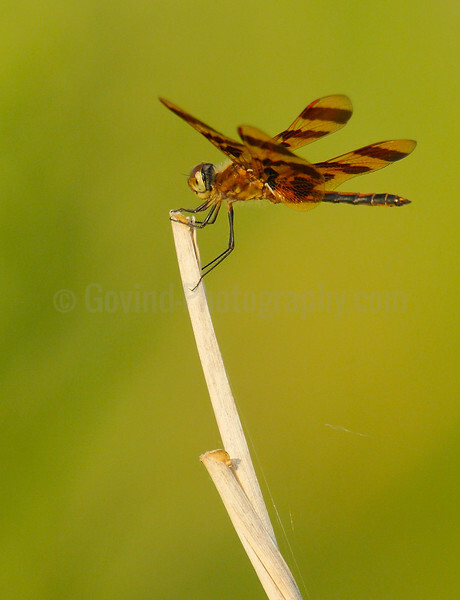 A dragonfly rests on a dry reed in the Horicon Marsh NWR. A curious harvestman eyes me late in the evening at Milwaukee's Riverside Park. 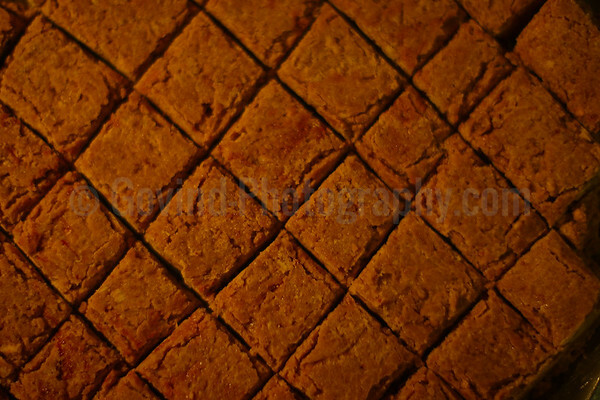 The texture of the leaf provides a secondary point of interest in this image. 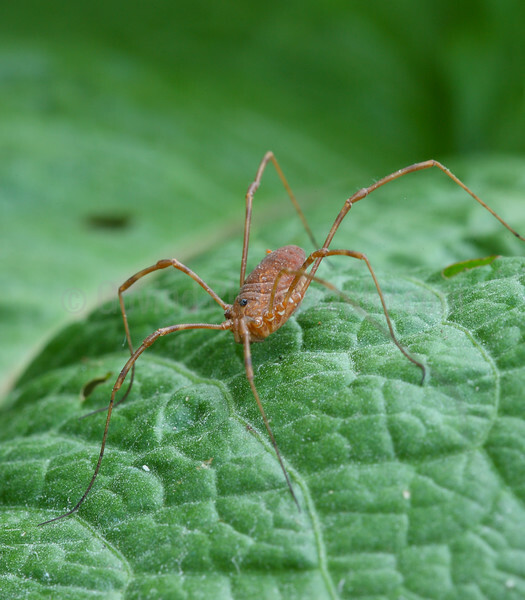 Harvestmen are not true spiders in that they only have one part to their body, whereas spiders have three parts. A hoverfly rests on a false sunflower blossom in Milwaukee's Riverside Park. Hoverflies look like hornets - a mimicry that makes potential predators avoid capturing them. 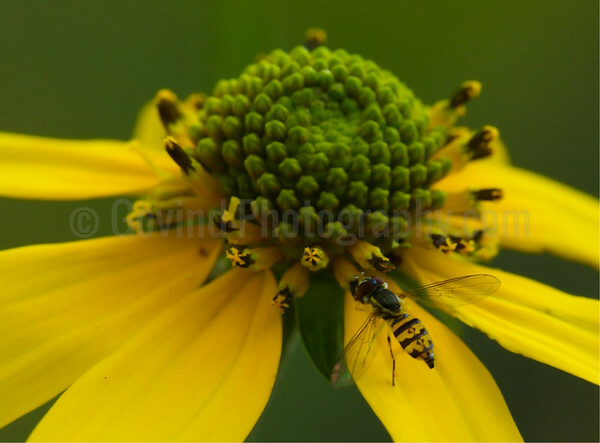 The colors on the hoverfly are perfectly complemented by those on the dominant flower. 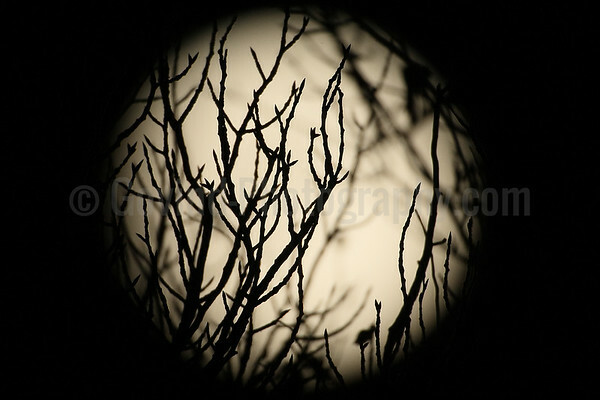 One of the images I had in mind was an abstract of tree limbs in front of a full moon. The super moon provided an opportunity, but I had to be quick as the moon was rising fast across the trees. 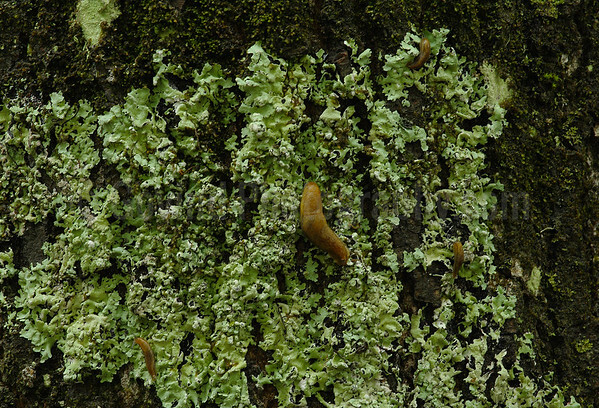 A small lichen patch on a pine tree trunk plays host to slugs and worms in Wisconsin's Nicolet National Forest. Rains in late spring create a cool and wet environment that aids in growth of lichens which provide food to other species. 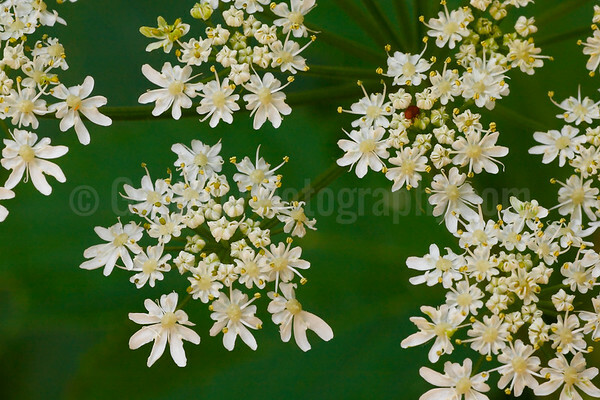 Cow parsnip flowers during early summer at Milwaukee's Riverside Park. 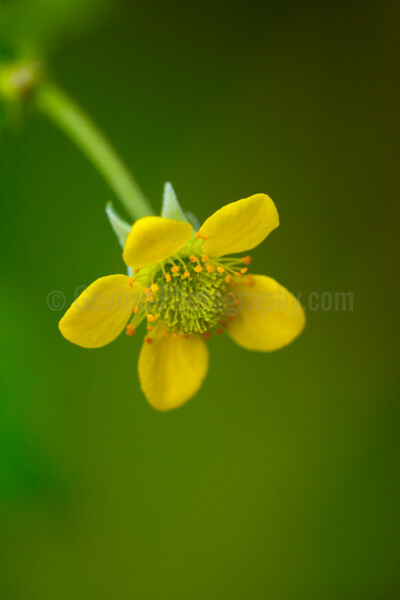 Seasonal rains ensured a lush growth which provided a complementary green background to the flowers. 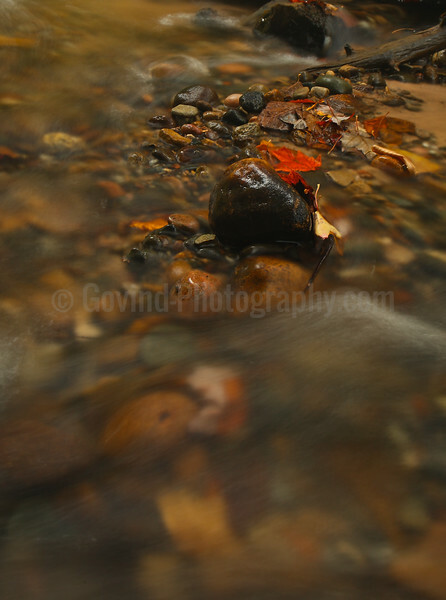 A close look at a pebble in the middle of a fast-flowing stream. After a heavy blizzard, snow on tree limbs at Milwaukee's Lake Park provide an interesting abstract. 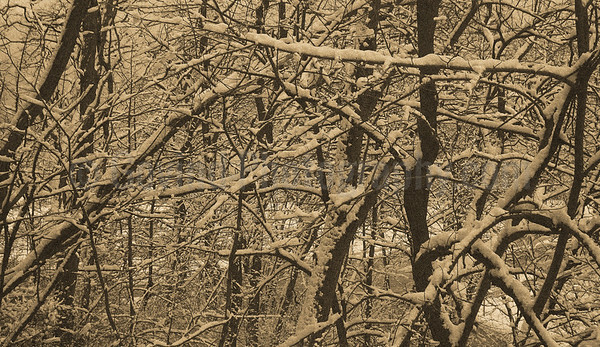 I made this B&W with sepia overtones to highlight the contrast between the snow and dark branches. I tried telephoto lenses for landscape images for the first time at Yellowstone NP and was pleasantly surprised at the results. 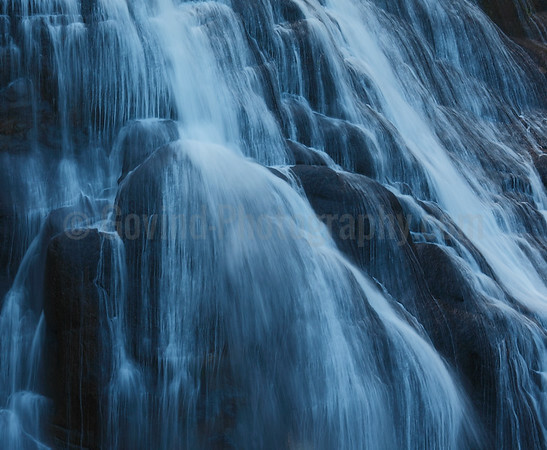 Here, the lens isolated the waterfall, highlighting the cascades over dark rocks. Bamboo trunks in a Japanese garden provide an interesting abstract. 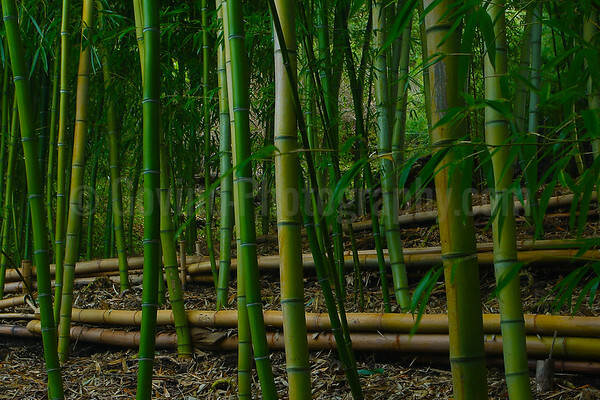 Bamboos are the fastest growing plants in the world and are found throughout South and East Asia. I took this image late one fall afternoon as the sun was setting. The soft light highlights texture of the trunks amidst the green of the trees.